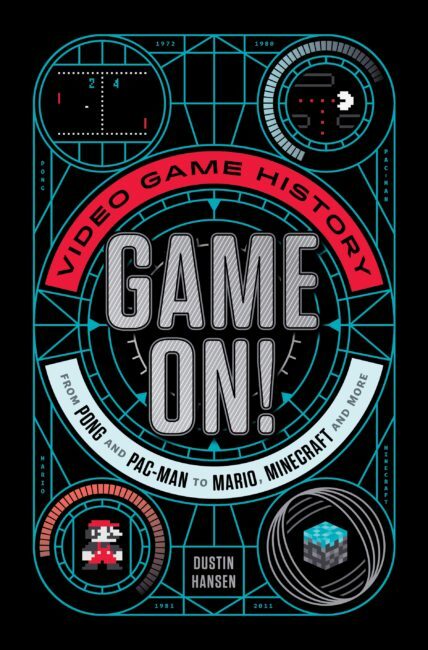 Ephraim author Dustin Hansen just released a book on video game history titled “Game On! : Video Game History from Pong and Pac Man to Minecraft, and more” based on expertise he gained from spending more than two decades working in the video game industry. EPHRAIM — An Ephraim man is letting his nerd flag fly with the release of his first book, which chronicles the history of video games. Dustin Hansen of Ephraim wrote “Game On! : Video Game History from Pong and Pac Man to Mario, Minecraft, and More” drawing on expertise he gained from working more than two decades in the video game industry. The book was released publically on Tuesday Nov. 15 at a party at the Ephraim Co-Op. It is also available for purchase online and at the Snow College bookstore. 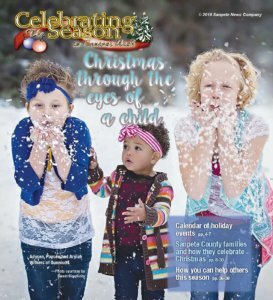 Hansen’s book is already garnering accolades, including being named one of Amazon.com’s “Best Books of the Month” for November. Leaders in the gaming industry are also taking notice of Hansen’s first book. He said the opportunity to write the book arose when editor Holly West from Feiwel and Friends, a branch of Macmillan Publishers, approached Hansen’s agent, Gemma Cooper, looking for an author to write a book about video games. Hansen said his agent knew right away it would be a perfect match, so he made introductions. But, Hansen admitted, he was hesitant in the beginning. Hansen says that the students were speaking a cultural language that didn’t exist when he was their age. That’s when it clicked for him, Hansen said, and he realized writing the book was his responsibility. Once Hansen set his mind on writing the book, he was faced with the difficult task of deciding which games the book would cover. “It wasn’t easy, and it still hurts a little when I look at the games that didn’t make the cut,” he said. “I’ll tell you this: Quite a few of my personal favorites were the first to go. Gaming is such a subjective medium. My personal favorite might be one you find boring, or worse, and I knew this was going to be a big issue for me. So I did what I knew best. I approached it like a game designer. I defined a rule set, created a compelling end goal, and tested the list until it felt just right. The people in Hansen’s life made contributions to his writing process. His wife, Jodi, was particularly influential. Because Hansen followed a career path he is passionate about, he is also passionate about encouraging young people to study what they love and seek a career that inspires them. He said there are many great jobs available for young people who want to work in the gaming industry—and not just for programmers. “The gaming world needs artists, sculptors, painters, animators and user interface designers,” Hansen said. “It craves writers, tech writers, creative writers, dialog writers and marketing copywriters. It needs mathematicians, physicists, statisticians and accountants. The games industry wouldn’t work without project managers, directors, producers and schedule-making gurus. Hansen was raised in Ephraim, graduated from Manti High School and earned a bachelor’s degree in art and illustration from Southern Utah University. He began working in the video game industry in 1993. Hansen received numerous honors and awards for his work with EA, including EA Salt Lake City’s highest creative honor, the Summit Award, for his work on “Monopoly Hotels,” EA’s only No. 1 worldwide mobile game. He was also a finalist for the Bing Award in 2013. Hansen has a series of other books, “The Microsaurs,” set to release Jan. 17, 2017. Hansen’s career has taken him across the country, but he says he has always considered Ephraim to be his true home.